Welcome to Auster Academy educational collection. 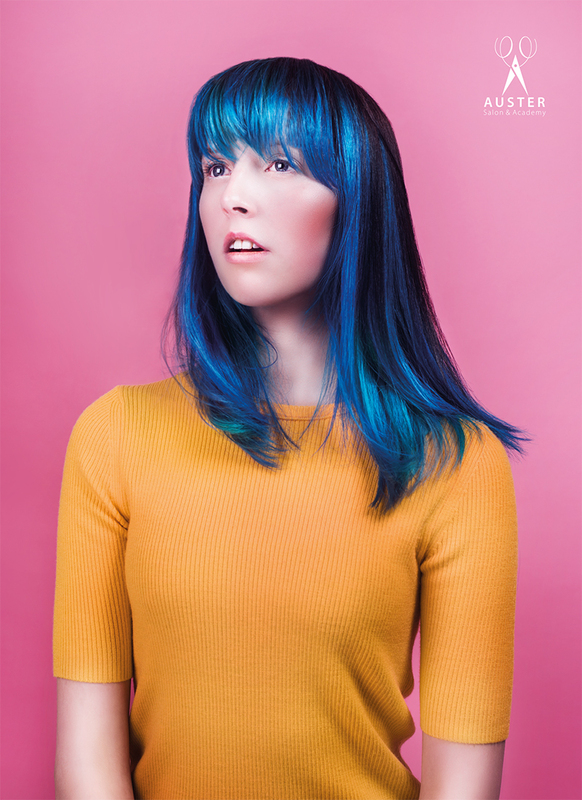 A collection of 4 haircuts and colors – with beautyfully demonstrated step-by-step techniques. It has been designed to educate, innovate and provoke creativity within the advanced hairdresser. Inpspired by the ”Swinging London” of the 1960s and mod fashion Auster Creative team has let themselves influence by the popping colors of artist and filmmaker Andy Warhol and designer Rudi Gernreich, actors and models like Brigitte Bardot, Edie Sedgewick, Peggy Moffitt and Twiggy, but also bands like ”The who”, ”Small faces”, ”The kinks” and many others of that era. Release youre creative freedom and get inspired by the technique, look, and thoughtprossess behind Auster Academy´s collection. 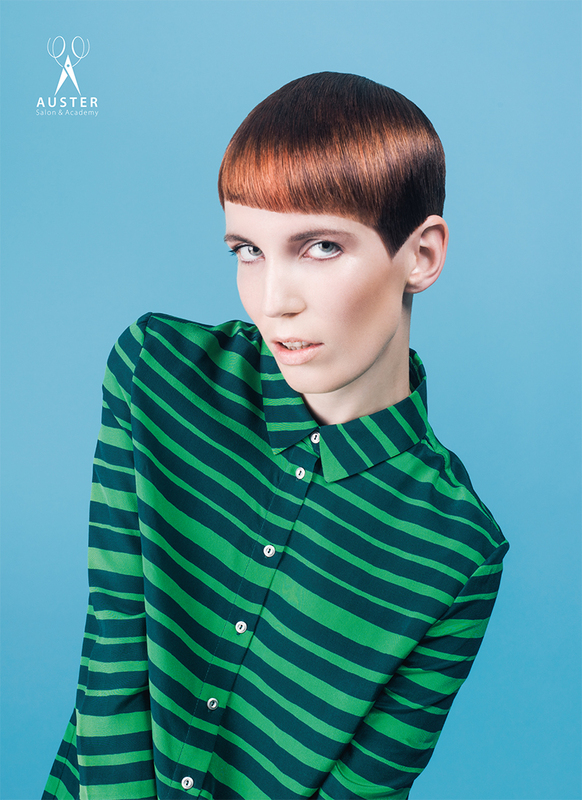 A short androgynous haircut with dark mahogany and bright copper tones that brings back the powerful female muses of the 60s who have inspired filmmakers, artist and hairdressers around the world for decades. Intense colors of blue, turquise and violet seemleasly flowing out from a darker diamond section on the crown. This in combination with a classic 70s haircut gives a modern take on this retro technique. 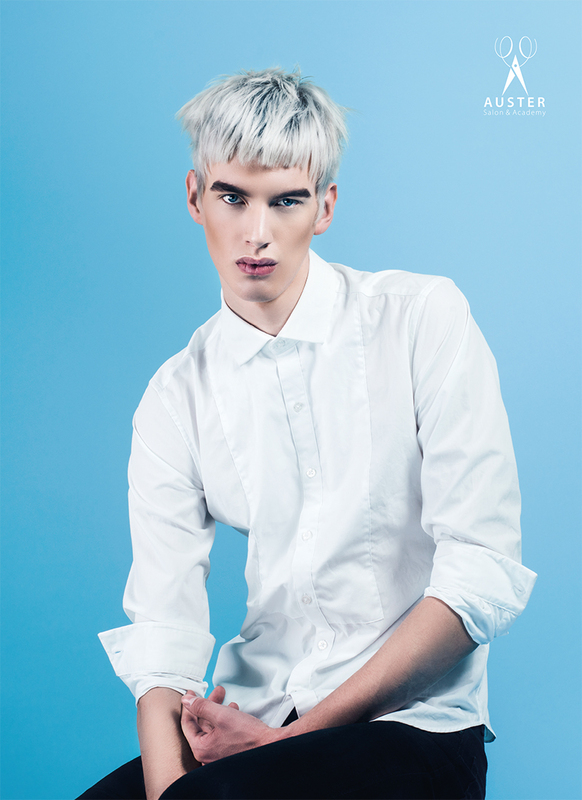 Bleached hair with darker roots gives this mod inspired haircut a distinced modern feeling renewing the look of bands and the spaceage of the 1960s. 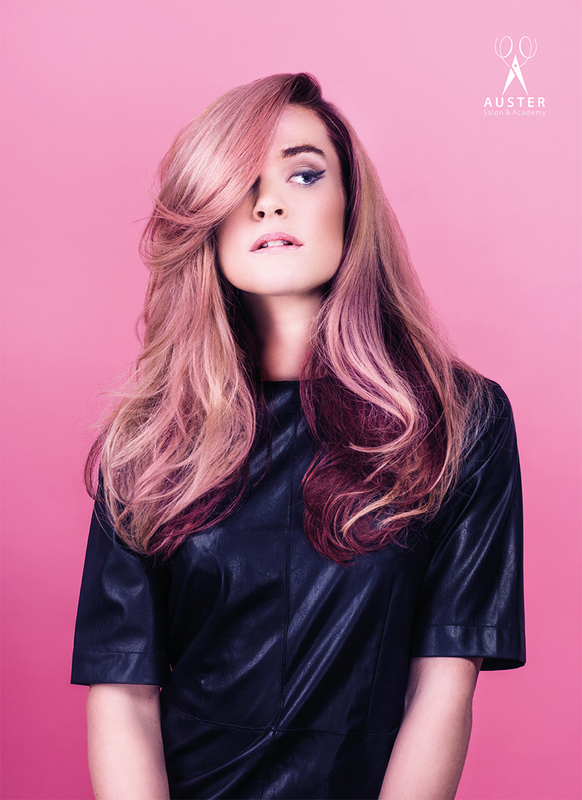 A combination of gold, pink and purple creates a rosegold color to this long layered haircut with a fringe inspired by the many great actresses of the 60s and 70s.